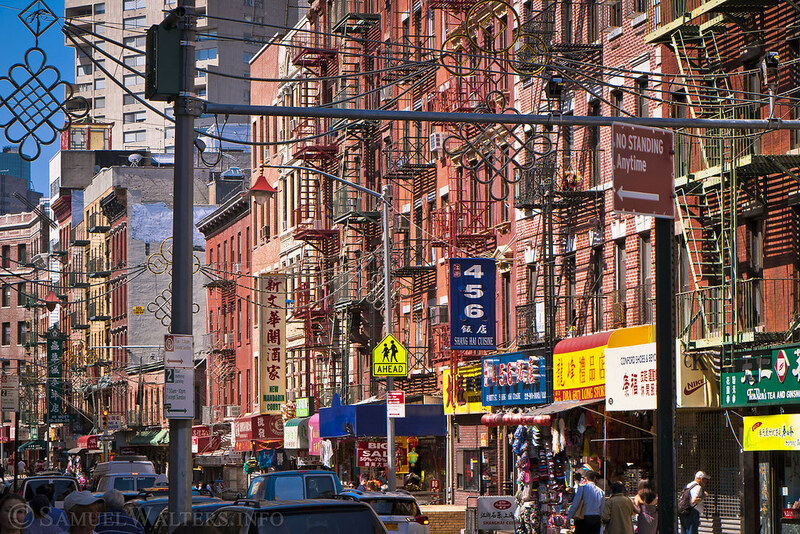 Chinatown is an old, and ever-expanding enclave in Lower Manhattan. Beyond its hectic tourist center is a vibrant, densely populated neighborhood. Sprawling northward from the Civic Center and the old (infamous) Five Points, Chinatown today continues its inexorable growth, pushing into the neighborhoods of Two Bridges, Little Italy, The Bowery, and the Lower East Side. Not only does Chinatown offer a wide variety of food markets (fish, vegetables, meats) and tourism shops, its atmosphere and scenery are unlike anything else in Manhattan. Of particular note is the "Bloody Angle" of Doyers Street, between Pell Street and Bowery - a quiet throwback to the origins of this historic neighborhood.